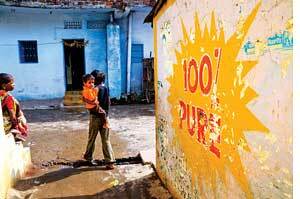 The Dow Chemical Company says it will not pay for treating the toxic waste lying at the Bhopal factory of Union Carbide Corporation (ucc), which it bought in 1999. The public interest petition for cleaning the site filed in the Madhya Pradesh High Court in 2004 had made Dow one of the respondents. Through its counsel Abhishek Manu Singhviwho is also the spokesperson of the Congress partyDow asked the court its name be deleted from the list of respondents. Reason it did not own the company at the time of the disaster. The waste lying there is from 1978 onwards, much before the gas leak.Since Dow owns assets of ucc, it must take care of the liability as well, said Abdul Jabbar, coordinator of the Bhopal Gas Peedith Mahila Udyog Sangathan. The 2008 annual report of Dow accepts it has taken over US $2.2 billion liability of Union Carbides asbestos-related suits. The question is why when it comes to Bhopal does it refute the liability of the company it has bought, said Rachna Dhingra of the Bhopal Group for Information and Action. In May 2005, the Union Ministry of Chemicals and Fertilizers also moved the court for directions to Dow to deposit Rs 100 crore as advance for environmental remediation because the court had been stressing on clean-up before fixing liability. This has led to frantic lobbying in the corridors of power. In November 2006, Dows chief executive officer Andrew Liveris wrote to Ronen Sen, the then Indian ambassador to the US, urging that the government of India (goi) should withdraw its application for the payment of Rs 100 crore. The letter referred to assurances given by top Indian bureaucrats regarding the non-liability of Dow at the US-India ceo Forum in New York on October 25, 2006. Certainly a withdrawal of application would be positive, tangible demonstration that the goi means what it says about Dows lack of responsibility in the matter, it stated. In July 2006, Ratan Tata, in his capacity as the head of US-India ceo Forum, also wrote letters to the deputy chairman of the Planning Commission, Montek Singh Ahluwalia, and the then finance minister P Chidambaram, offering to create a site-remediation fund with contribution from the Indian industry. Dow has mentioned in their letter that it is critical for them to have the Ministry of Chemicals and Fertilizers to withdraw their application for financial deposit by Dow against the remediation cost as that application implies that the government of India views Dow as liable in the Bhopal Gas disaster case, said Tata in another letter to Ahluwalia on November 28, 2006. I wanted your assessment as to whether this is possible. My offer for the Tatas to lead and find funding for the remediation of the site still stands. Perhaps it could break the deadlock. The letters were forwarded to the Department of Chemicals and Petrochemicals. The department said Tata should submit its offer before the high court since the matter is sub-judice. The Madhya Pradesh High Court has not agreed to delete The Dow Chemical Company from the list of respondents. The petitioner has cited provisions of the hazardous waste management rules 1989 that the occupier or the operator of a facility shall be liable to pay the entire cost of remediation or restoration and pay an advance amount of the estimated costs of the clean-up. Dows lawyers in India argue that US company Union Carbide no more holds interest in Union Carbide India Ltd (ucil), the Indian branch, so the purchaser (Dow) is not responsible. In fact, Singhvi, in his ex-parte opinion, argues ucc was not incharge of the plant at Bhopal at the time of the disaster and in any case ucil has also ceased to exit. Singhvi says all claims were settled in 1989 when Union Carbide paid a full and final settlementa sum of $470 million. But activists contend that the 1989 Supreme Court judgement was itself reviewed in 1991 and criminal liability of the company reinstated. The waste in Bhopal is not a result of the accident, but of careless housekeeping by the multinational. The companyoriginally ucc and now Dowis the polluter and must pay. And what will it cost? Nobody knows. But it is clear if the entire site35 hectareshas to be decontaminated, the quantity of waste will be huge and so will be the cost. A 2004 study commissioned by Greenpeace, which brought German and Swiss waste experts to the Bhopal site, said there was 25,000 tonnes of hazardous waste to be cleaned. A rough estimate is that the clean-up could cost Rs 500-1,000 crore. Should Indian taxpayers bear the cost, especially when environmental liability is an established principle? In 1989, oil tanker Exxon Valdez struck a reef and spilled 10 million gallons (38 million litres) of oil over the Alaskan coast, killing marine life on a large scale. US oil giant Exxon has paid nearly $287 million for harm to the environment. It is likely to pay an equal amount for economic harm to commercial fishermen and others. In a Chevron case, 30,000 Amazon basin residents sued the oil giant for dumping toxic waste from oil drilling in their forest in 1994. In this case as well, Chevron had bought over Texaco Inc, which operated the oil drills from 1964 to 1990. Therefore, Chevron had continuing liability from the company it took over. The US $27 billion lawsuit is in the permanent court of arbitration in The Hague. The oil giant also wants to be absolved of liability. It also wants the Ecuador government to pay. The ball (and toxic waste) is in the court of the Indian judiciary and government. The question is from where and when the next throw will come. For the victims the tragedy does not end.